After only one woman won a major award at the 2018 Grammy Awards, Recording Academy President Neil Portnow said that women need to "step up" if they want to be in the music industry. "I think it has to begin with women who have the creativity in their hearts and souls, who want to be musicians, who want to be engineers, who want to be producers, who want to be part of the industry on the executive level to step up. Because I think they would be welcome," he said. 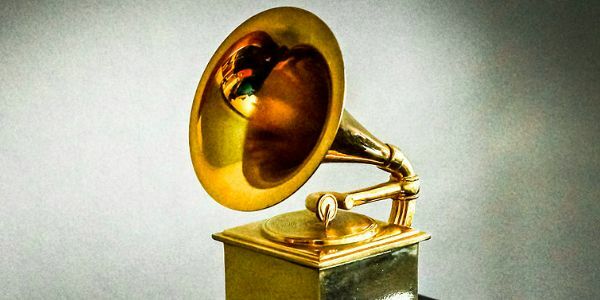 Please show your support for female musicians, and women trying to break through in all areas of the music industry, by signing this petition demanding that Neil Portnow resign from The Recording Academy now. Neil Portnow's comments show a complete disregard for the many ways women have been overlooked, discredited, and disempowered in music. At a time when women and men across industries are screaming "Time's Up" for, not only sexual harassment and assault, but also systemic discrimination that subjugates women and people of color, Portnow's comments are especially tone-deaf. Rather than telling women to "step up" because they'd be welcomed by the industry, maybe Portnow should address the fact that the only female artist nominated for Album of the Year, Lorde, was the only nominee in that category who was not invited to perform at the ceremony. Or perhaps Portnow should comment on how Grammy performer Kesha had her career stalled for years after a judge refused to release her from her contract with Dr. Luke, the producer who sexually assaulted her, and was only given a platform at the Grammy's after #MeToo became a trending hashtag and the cause du jour at this year's awards ceremonies. With someone like Neil Portnow at the helm of The Recording Academy, women in music will never gain the recognition they deserve - no matter how much they "step up" or "lean in." Sign now and tell Portnow to resign immediately. Recording Academy President Neil Portnow abruptly canceled an appearance at a Pollstar conference, which many see as a sign that Portnow will soon resign. Please share this petiiton to keep the pressure on!